Our immune system tries to preserve a fine balance, or ‘homeostasis’, between activation, to fight off infections, and suppression, to avoid attacking our own tissues. A suppressed immune system can leave you vulnerable to anything, while an overstimulated immune system can mistake harmless things in your body for invaders and cause abnormal reactions. In both cancer and allergy, this homeostasis is not maintained, but in completely opposite ways. This has major implications on the successful treatment of patients who suffer from any of these diseases. On one hand, allergies occur because of an overreaction of the immune system to innocuous substances and can be treated by suppressing it. 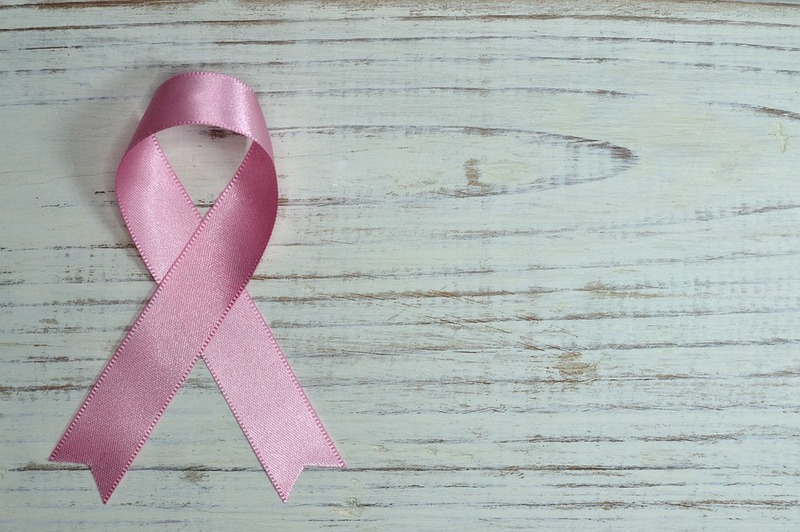 On the other hand, some cancers can occur because of an underreaction of the immune system and can be treated by stimulating the immune system in the right way. In allergy, the immune system starts to overreact to the exposure to allergens. 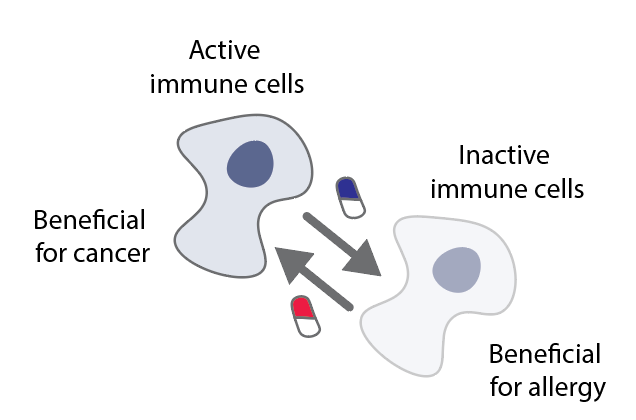 This overreaction occurs due to a change in the immune cells leading to inflammation (a concrete example is the switch of B-cells to IgE production). In order to treat the patient, allergen immunotherapy (AIT) can re-establish homeostasis by switching the immune system to an anti-inflammatory mode (this process involves IgG4, Tregs, IL-10 and TGFβ). In both systems, allergy and cancer depend on the involvement of different cells of the immune system, such as dendritic cells, macrophages, Tregs, Bregs, innate lymphoid cells, mast cells, eosinophils and epithelial cells. However, while some cells have a beneficial function in one disease, they have a malignant function in the other. One way to treat cancer would be to re-activate many immune cells, and trigger production of certain antibody types that are able to attack cancer. By studying cancer, we can therefore learn more about allergy and vice-versa. The study of the parallels between the mechanisms at play in allergy and those in cancer can have significant implications in how we monitor disease progress and how we can influence patient outcome. The authors of the EAACI position paper “AllergoOncology: opposite outcomes of immune tolerance in allergy and cancer” published a comprehensive overview of these parallel mechanisms here.